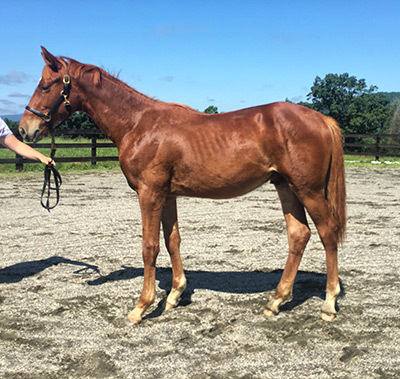 A rare opportunity to purchase a Premium Trakehner colt by the imported stallion Hancock *Pb*! Jeffersonian was a premium foal and named a stallion prospect at his inspection. His dam is a model mare, Jaida *M*, sired by the Elite stallion, Carino *E*. His sire, Hancock *Pb*, is a young stallion who won his 70-day stallion test in Germany in 2012 before being imported to the US in 2015. Hancock *Pb* is continuing his dressage career in the states and recently made his debut at PSG. He is sired by the legendary Imperio, and is out of an E. H. Muenchhausen mare. Hancock is focusing on his Dressage career and has very few offspring in America. Jeffersonian is UTD on everything and has appropriate training for his age. Located in Gordonsville, VA. Consideration given to a show home.